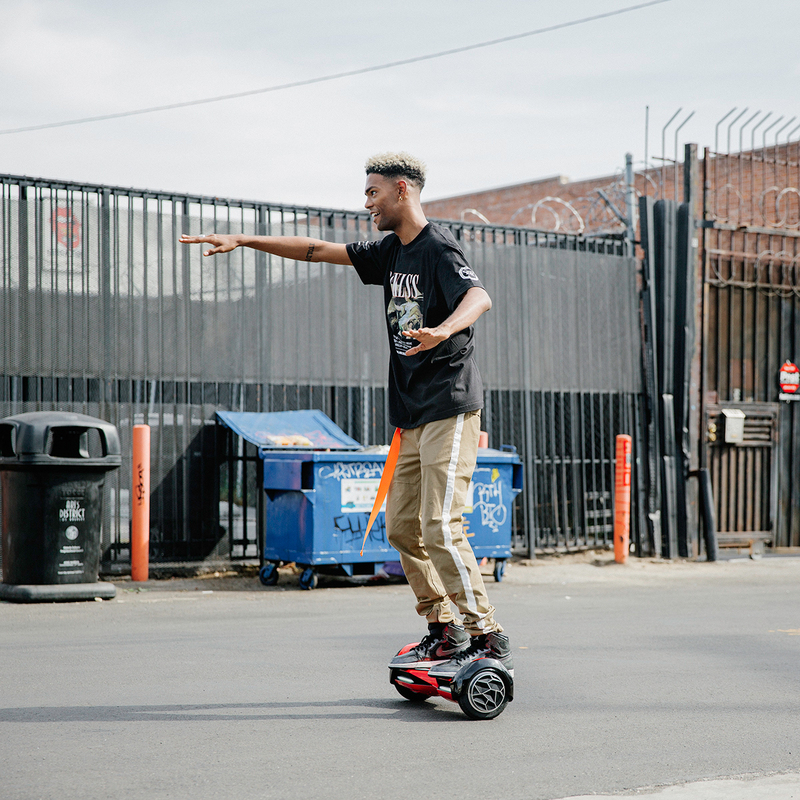 • Step into the action with the X1 Self Balance Hoverboard and jam to your favorite tunes with Bluetooth Speaker connectivity. 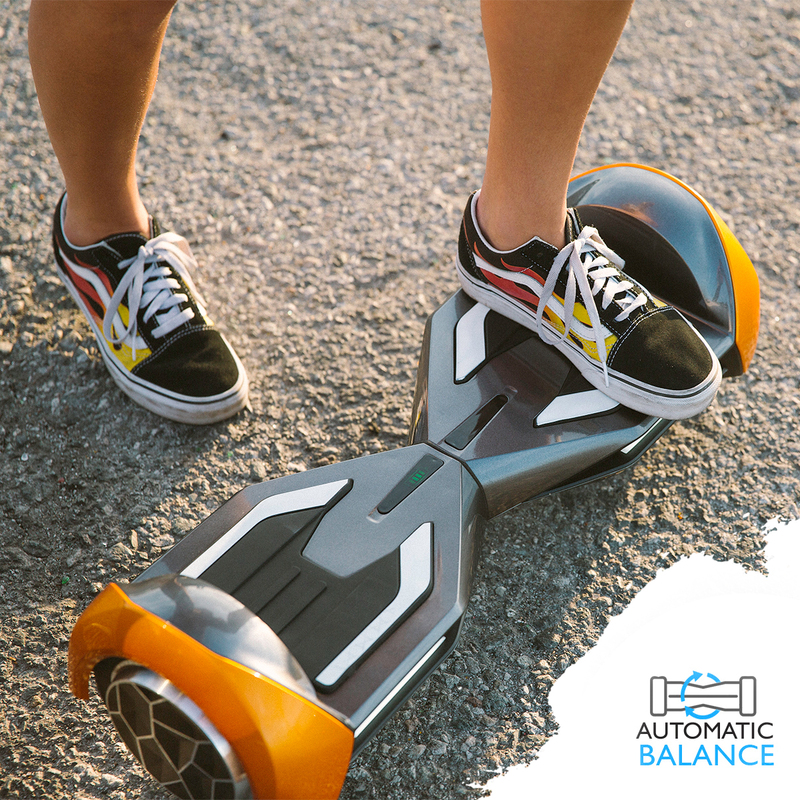 • The latest auto balance technology is here and it delivers an impressive smooth ride for your casual or daring street adventures. • Easily carry with you and ride in style with the latest modern design that features bright LED Lights, solid diamond shaped hubcaps and an ultra-durable shiny casing. • Beginner riders can easily learn in minutes with the help of the large foot pad space and built in sensors for better balancing. • Move freely worry less due to less sensitive and non-shaking sensor technology. • All riders can enjoy fun rides of up to 7 mph in rough street areas. 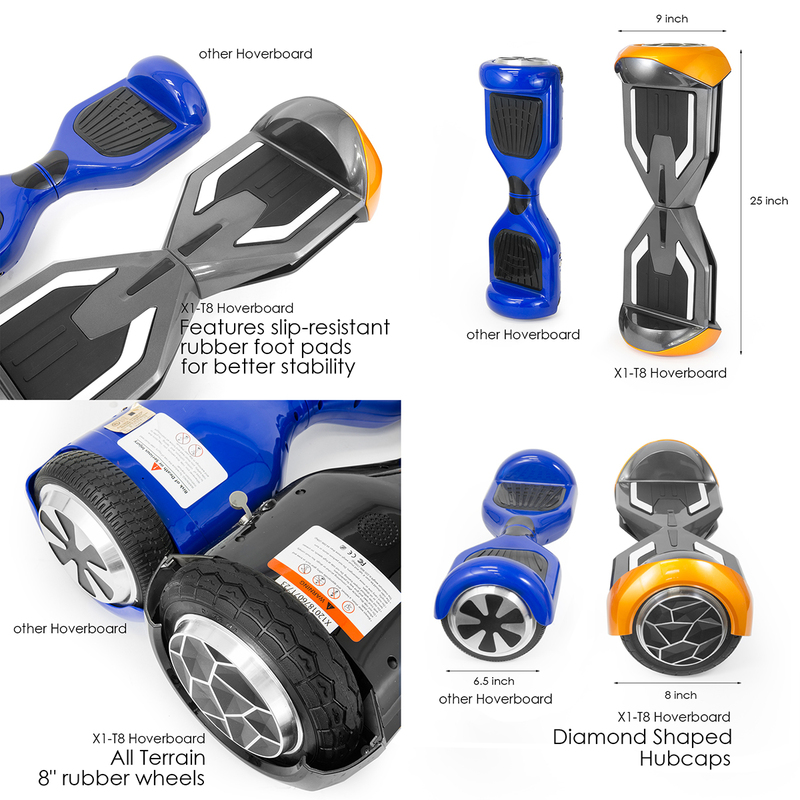 • Integrated auto balance function gives a stable aid as soon as stepping on the board. • It allows for a consistent balance in long lasting adventures. • Large Non-skid 8” rubber wheels provide a secure ride on uneven roads you may bump into on your outdoor adventures. 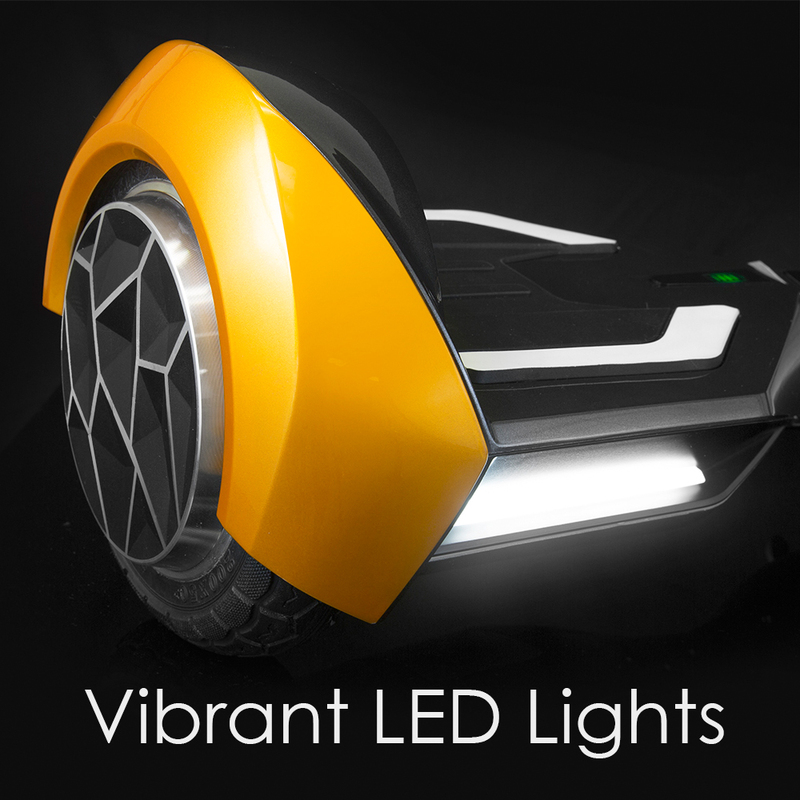 Ride anytime safely during night or day with vibrant LED Lights that blink when you turn, go forward or reverse. 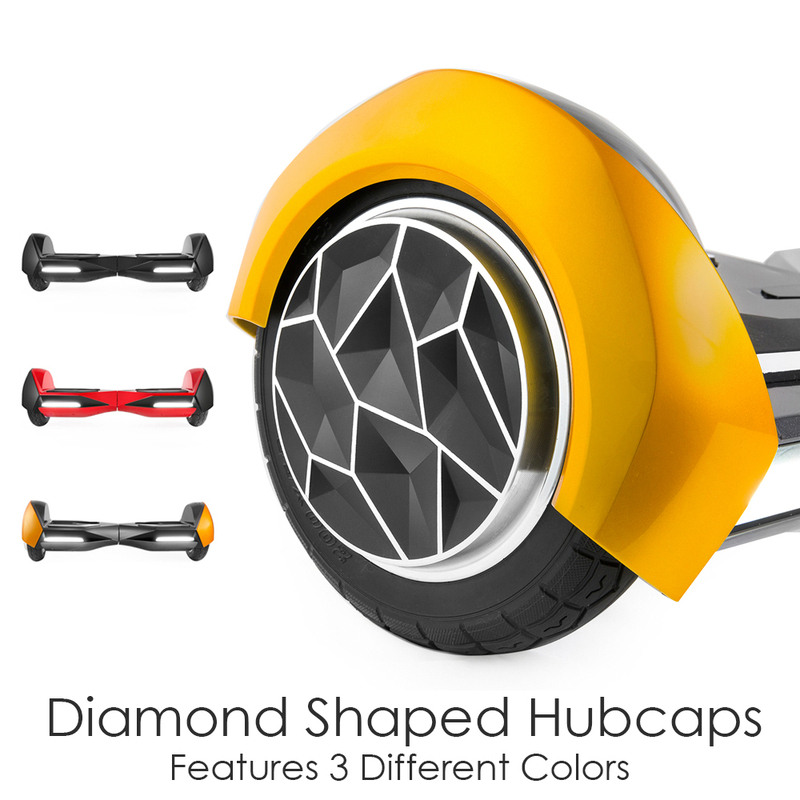 Ride in style with the latest modern sleek design which features 3 different colors and 8” wheel diamond shaped hubcaps. Pair up your phone and add rhythm to your ride with the built in Bluetooth Speaker that delivers superior crisp sound. • Strong Motor power for inclined surfaces to keep moving forward without any setbacks. • Ride the hoverboard for a long-lasting time with the help of the powerful lithium battery of 36V, 4.0AH which lasts 3-4 hours or up to 8.4 miles. • Move skilfully with the assistance of the built in gyroscope sensors that gives steady maneuverability for a smooth ride. • Features slip-resistant rubber foot pads for better stability. Your hoverboard might be off balanced and might not be able to determine if you are on a flat surface, heading up or downhill or even standing on its board or not. You might experience this when your hoverboard’s wheel turns backwards when press forward. Slants forward when you stand on it. So, here are steps to assist you get your board back to the way it should be. Please power off the scooter first. Then keep the both pedal of the hoverboard horizontally (IMPORTANT). Power off the hoverboard then power on. The hoverboard should be ready to go. 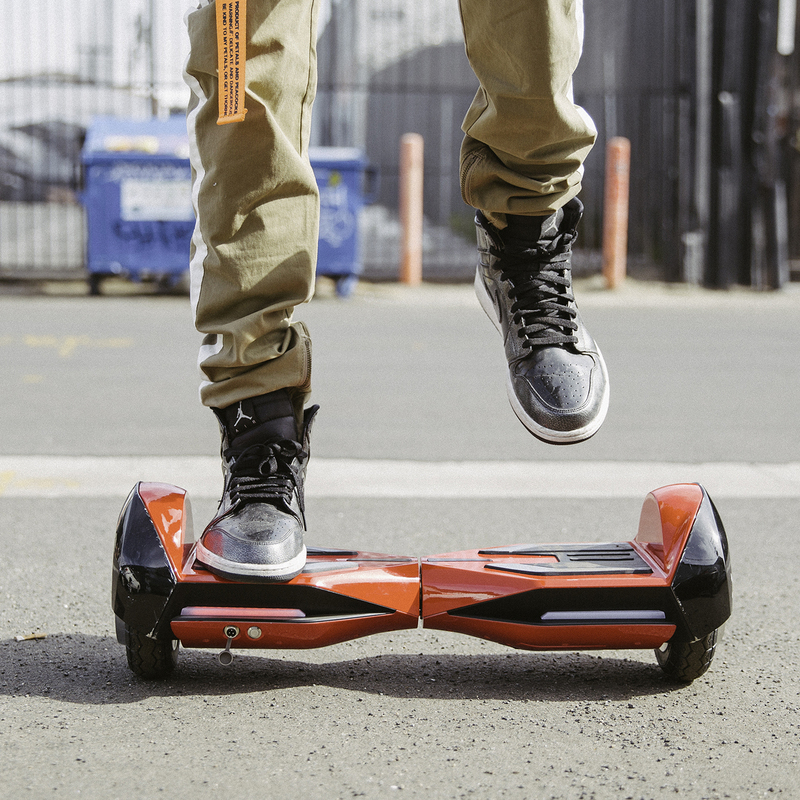 We recommend you re-calibrate the hoverboard every month for better performance. Another reason why you should master the re-calibration process. Step 2: If the recalibration doesn't work. It is the motherboard issue. It is not easy to replace the motherboard. We recommend that you send it back. Are you concerned about why your hoverboard does not hold charge for as long as it should, or why it does not charge when plugged to a wall socket? Another example is when your device worked for a couple of hours and then just stopped working, battery dead! Some steps are mentioned below to assist you detect the issue and help resolve it. Step 1: Check the charge port on the hoverboard. There are 3 pins. If pins are damaged or broken, the hoverboard will not showing charging when it is plugged in. To charge correctly, align the 3 pins with connector properly. If the charge port is damaged or broken, we recommend to send it back and fix it for customer. If the red light is on, that means the charger adaptor and the charger circuit working well, in this situation, if the hoverboard still can not charge, that is the battery issue. Different model need take different action. For SBW666, C1, Z1, T88SE, we recommend to send it back, because the battery is sticky with tape. For T67SE, due to the battery is not use tape, so we can send the battery (send only C1+ battery for all 6.5” hoverboard and with charger) to customer and let customer repair it or just send it back (Ask customer which is prefer). Step 2: Check charger adaptor. If step one works well, there is a light indicator on the black charger adaptor. If the green light is on, that means the battery is full or the charge circuit/battery is not working. In order to check which is defective, please use the hoverboard for 10 more minutes to make sure the battery is not full. If the green light still on, we recommend to send it back and replace a new one. If no lights on, the charge adaptor need replace, we need send a replacement charger to customer. If customer doesn't want to replace the battery, we can send a new replacement. Many individuals prefer devices with bluetooth features to derive optimum pleasure and comfort. This allows the connection of a wide range of devices from mobile phones to mp3 players to the hoverboard. In a situation whereby you are stuck with the bluetooth function, the following instructions will help resolve such issues. Turn hoverboard on and the hoverboard will play a sound (listed as table 3-1). Turn on the bluetooth on your phone, find the bluetooth device name (listed as table 3-1) on the bluetooth list and connect it. 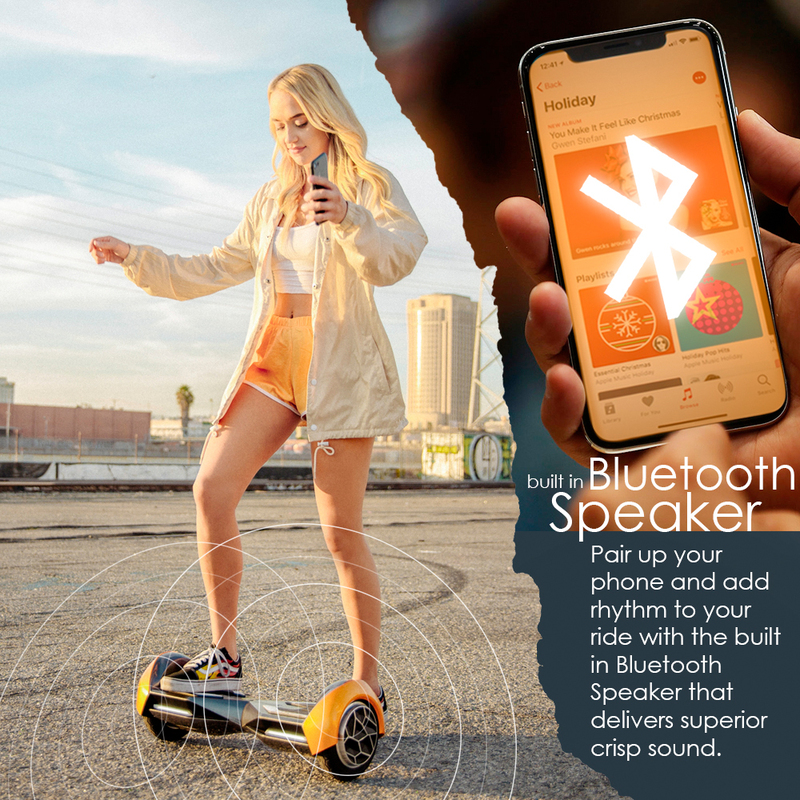 Once the Bluetooth device connect successfully, you will hear another sound (listed as table 3-1) from the hoverboard signifying that the device is now paired. To play music, open up your favorite music app and play a song! Step 1: Check if customer can hear sound when turn it on. If not, the bluetooth chip or the speaker need to be changed. It is replaceable but need unscrew and glue. We recommend to send it back and replace a new one. Step 2: If customer can hear sound, but can’t connect it. It may be the phone that can’t pair or support to the hoverboard.  Thank you for checking out Hoverboard4Sale products. We are 100% committed to our customers' Satisfaction and provide a high quality of next-generation gadgets. All of the XPRIT Products come with 30 Days Hassel Free Return. Here is our guarantee when you purchase our products. If you have any product related question, please email us or chat with us online.